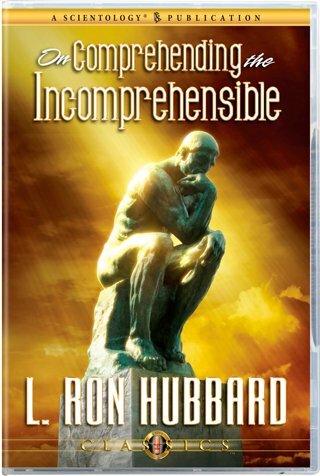 As L. Ron Hubbard traces how a being’s descent from knowingness to incomprehension on the Chart of Human Evaluation parallels the Tone Scale, he details the consequences when vibrant, understanding life attempts to communicate with dead, inanimate matter. Before Scientology, this dwindling spiral was irreversible. But, “wonder of wonders,” as he puts it, a process exists to restore self-determinism. Here are both the mechanics of entrapment and the whys and wherefores of the L. Ron Hubbard's Technology that marks the road out. In a lecture that uniquely correlates major Scientology breakthroughs, Mr. Hubbard relates an individual’s level of ARC to what he calls “the chart of dwindling comprehension,” concurrently identified as the Chart of Human Evaluation. As he traces how a being’s descent from knowingness to incomprehension on the Chart parallels the Tone Scale, he details the consequences when vibrant, understanding life attempts to communicate with—and to comprehend—dead, inanimate matter. Here is the fate that overtakes such people as the nuclear physicist, who, probing endlessly for a cause-point amidst atoms and electrons, sinks to an incomprehension so deep he can assign MEST seniority over life. Before Scientology, this dwindling spiral was irreversible. But “wonder of wonders,” as Mr. Hubbard puts it: even after an individual has become wholly dependent on MEST, a process exists to restore self-determinism. Here, then, are both the mechanics of entrapment and a comprehensive account of the whys and wherefores behind the L. Ron Hubbard's technology that marks the road out.